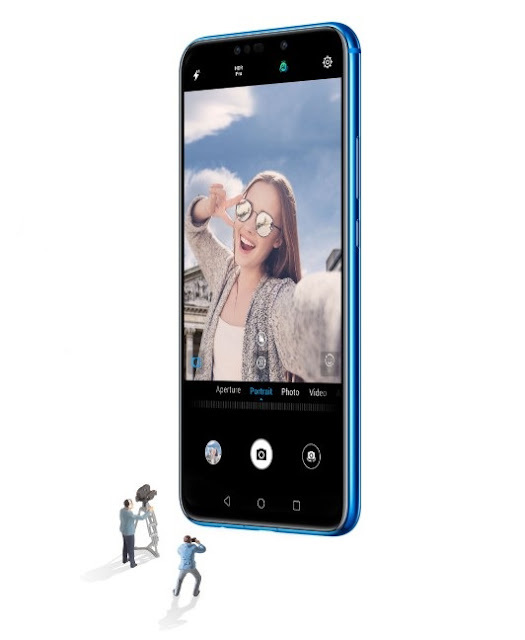 For those of you who want to own a Huawei P20 series but is being put off by the sky high price tag, Huawei has Nova 3i to match your budget without compromising on quality and features. 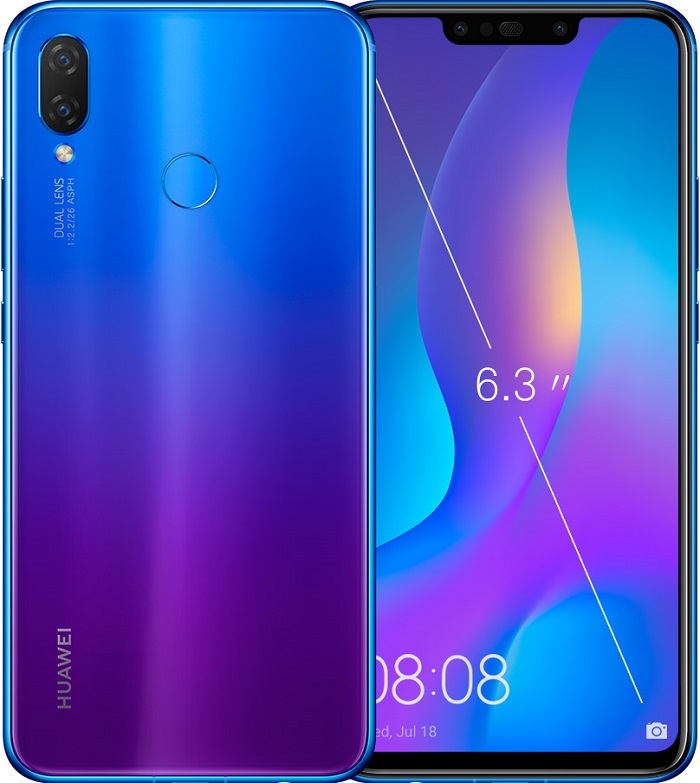 Hot on the heels of its highly successful predecessor-Nova 2i, this latest mid range smartphone from Huawei sports 4 cameras, near-bezel-less display and a solidly crafted body. Will Huawei Nova 3i rule the kingdom of mid-rangers? 6.3-inch of display for your visual indulgence. First and foremost, no one can take their eyes off the huge, beautiful 6.3-inch FHD+ IPS display 2340 x 1080 ratio. 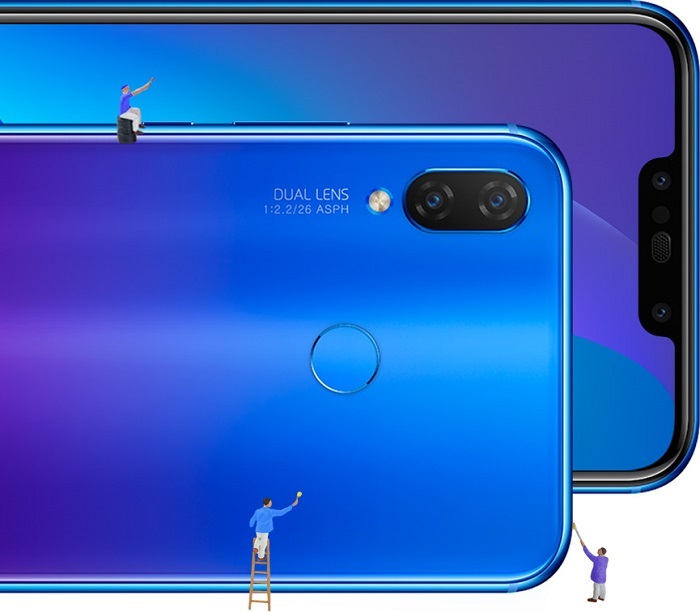 The near-ubiquitous notch is present to house the two selfie cameras together with the infrared sensor. 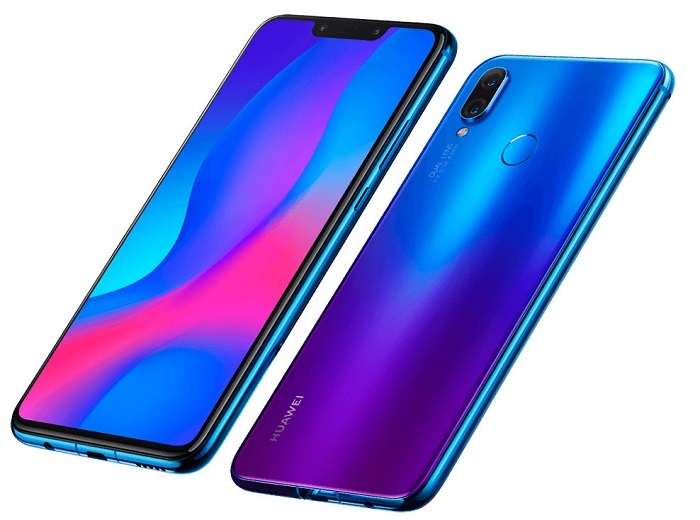 The two-tone hues of blue and purple underneath the glass back is really lucid and gorgeous which reminds of the Nova 3e. 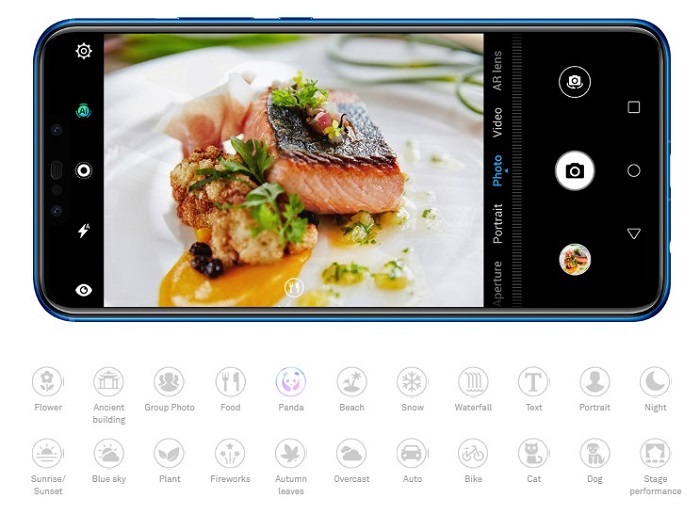 Of course the highlight of Nova 3i is its 4 AI cameras which will ensure that all your photos are taken vividly clear and bokeh effect are at its best. The 16 MP + 2 MP rear dual-camera system features f/2.2 aperture to help create a professional and natural-looking bokeh effect. Augmented by AI algorithms powered by the learning of over 100 million images, Nova 3i is capable of identifying 22 categories of 500+ scenes to provide the best shooting scene. In other words, you just need to snap and all your photos will turn out beautifully. You can also toy around with the 16x Super Slow Motion mode to record priceless moments at 480 frames per second. Dayum! Flip Nova 3i to the front and you will be greeted by the 24 MP + 2 MP dual front cameras. 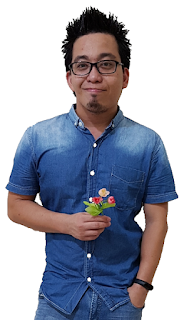 Huawei claims that Nova 3i can beautify your photos with the sophisticated algorithm which will make you look not only natural but also very appealing in all your selfies. On top of that the AI will automatically recognize the scenes around you to pick the best settings to match you. Besides, the front selfie cameras are also capable of capturing HDR photos. Now you can look perfectly flawless in all your selfies. 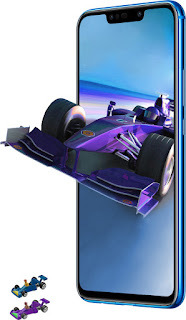 Under the hood, Huawei Nova 3i is powered by the 12nm Kirin 710 processor, complemented by 4GB of RAM for ultra-smooth and buttery user experience. Rest assured that everything will be snappy and super responsive even when you are playing graphic intense games! As for internal storage, you will have 128GB at your disposal for all your apps, photos and videos. If that is not enough, you can throw in an SDCard of up to 256GB of external storage. You can now animate yourself. 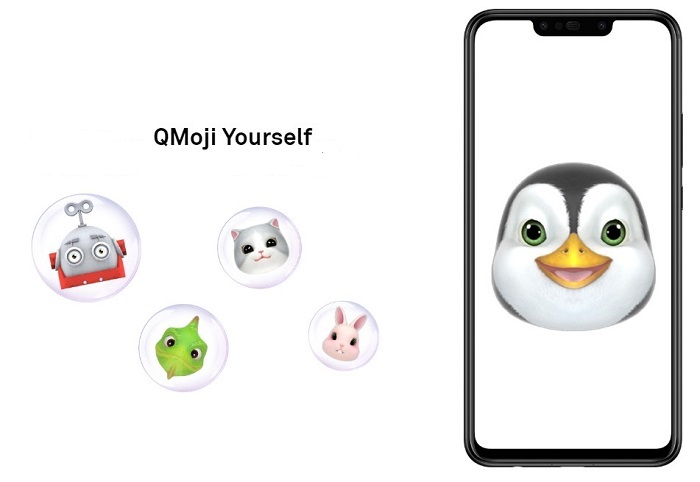 Of course another top feature included in Nova 3i is the ability to QMoji yourdself. The AI-powered 3D Qmojis learn and animate your facial expressions, gestures and even your voice to generate your very own Qmoji GIFs or videos, adding more fun to your messaging. Android 8.1 Oreo with EMUI 8.2 be the OS that is gracing this smartphone. 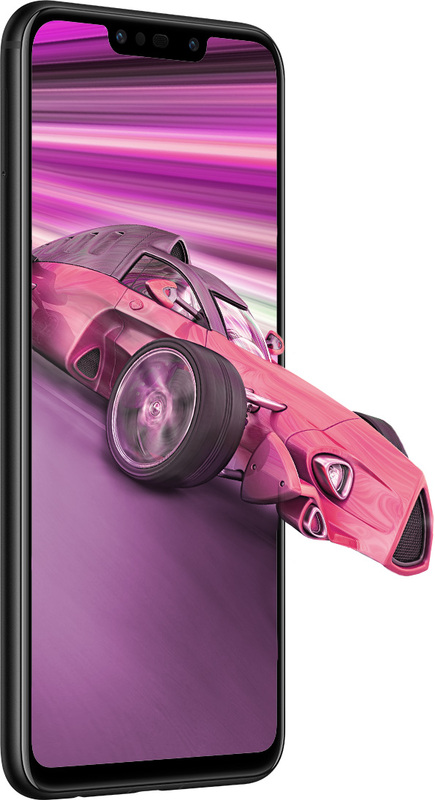 Huawei Nova 3i is juiced by its 3340mAh battery which should last you for the whole day without needing a charge. Unfortunately USB-C is still not available for Nova 3i which is really a bummer. For those of you who are looking for a flagship-like smartphone but is on a budget, then Nova 3i will be your preferred choice at only RM1,200 (US$300).